From Lil Boat to his crazy Bart Simpson chain - everything you need to know about 'King of the Teens' Lil Yachty. 1. Lil Yachty is just 19. He was born in 1997 and released his first EP in 2015 when he was 17 and his first album at 19. He’s known as the ‘King of the Teens’. 2. His real name is Miles Park McCollum. McCollum’s mother was in the army and his father is a photographer. He grew up in Atlanta, Georgia. 3. He grew up around hip-hop greats. Lil Yacthy’s father, Shannon McCollum, was a photographer in Atlanta and he and his son spent time with acts like OutKast, Goodie Mob and Lil Jon. 4. He moved away to get his break. While Atlanta is a hotbed of hip-hop talent, Yachty moved to New York to get his break. 5. He’s had some rough times. “A year ago on My friend Gianni Mora's Floor in New York... Now I Sleep In A Penthouse. #blessingscometrue never give up on any of your dreams”. 6. His breakthrough was thanks to a viral video. 7. He built his profile through street fashion personalities. After moving to New York he got to know people involved with street fashion, which helped build his name. 8. He’s got some crazy jewellery. Along with the obligatory Jesus piece he’s got a diamond Bart Simpson with braids. 10. He’s invented his own genre. 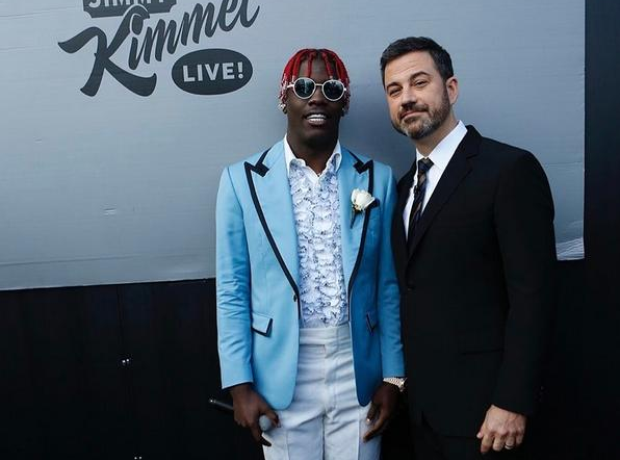 Lil Yachty called his music is “bubblegum trap” (although he hates the term now) and samples a lot of computer games and kids TV shows, including Mario Bros. and Rugrats. 11. His first proper mixtape was a big success. Lil Yachty released his first commercial mixtape ‘Lil Boat’ on March 9, 2015. It features Young Thug and Quavo from Migos. 12. His first smash was thanks to 'Broccoli'. Lil Yachty collaborated on DRAM’s huge hit ‘Broccoli’, which hit number 5 on the Billboard Hot 100 and has had almost 250 million views on YouTube now. 13. He’s already dropped his debut album. ‘Teenage Emotions’ was his first studio album and came out on May 26, 2017. It featured some big names, including Migos and Diplo. 14. His look is carefully calculated. 15. He’s pretty straight laced. He was raised in the suburbs and doesn’t drink or smoke - he does love sweets though (especially cereal). 16. Lil Yachty is all about positivity. 17. His fans are devoted. He hasn’t been around long but his fans are crazy devoted to him - there are a lot of Yachty tattoos out there. 18. He’s big into clothes. Lil Yachty already has a clothing collaboration with Nautica in the US. 19. He’s been a model. Kanye West cast Lil Yachty to model his clothes for Yeezy Season 3. 20. Lil Yachty is a huge Coldplay fan. He grew up listening to Coldplay obsessively and has posted links to artists like Billy Idol, along with other rappers, on Twitter. 22. Lil Yachty’s social media. Social media has played a big part in career. Follow Lil Yachty on Twitter @lilyachty, Instagram @lilyachty and Snapchat lilyachty.